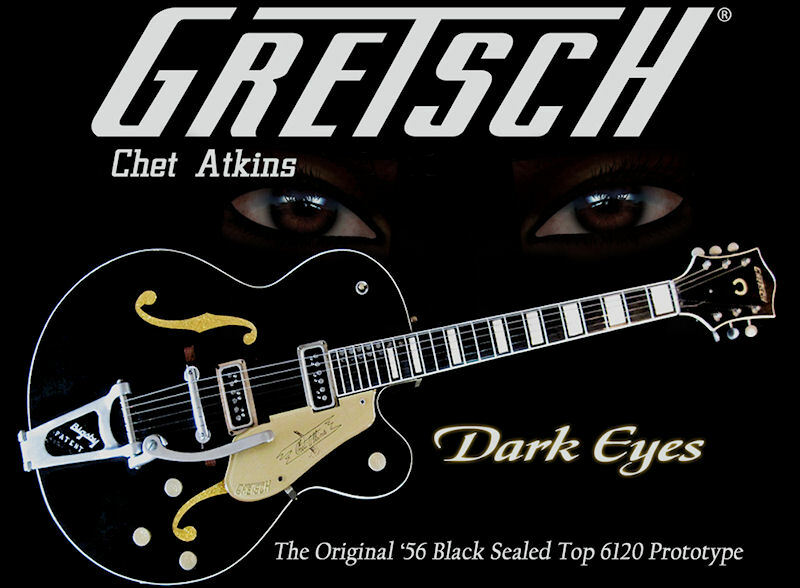 The 1956 Chet Atkins Gretsch 6120 Prototype - AKA "DARK EYES"
One of the guitars that started it all... "A very special instrument… The Holy Grail", according to Joe Carducci, the Sr. 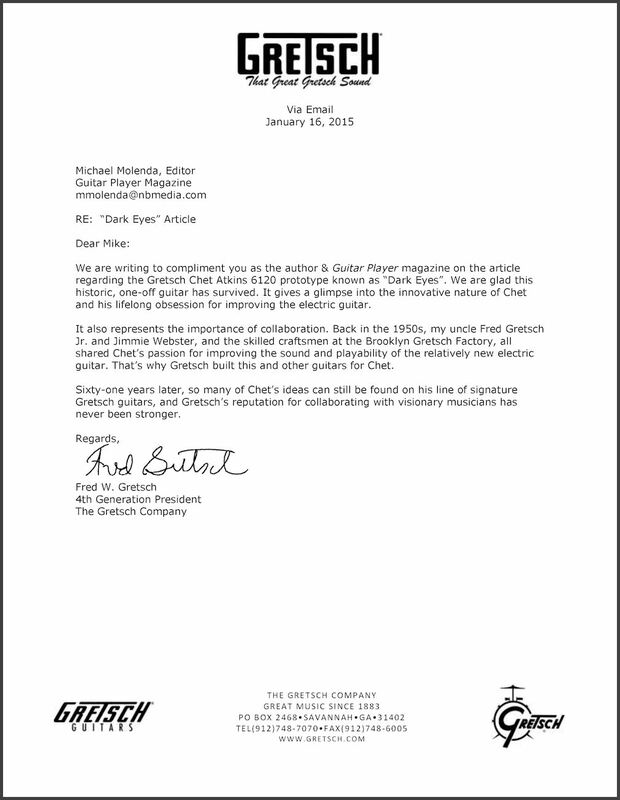 Product Manager for Gretsch Guitars. 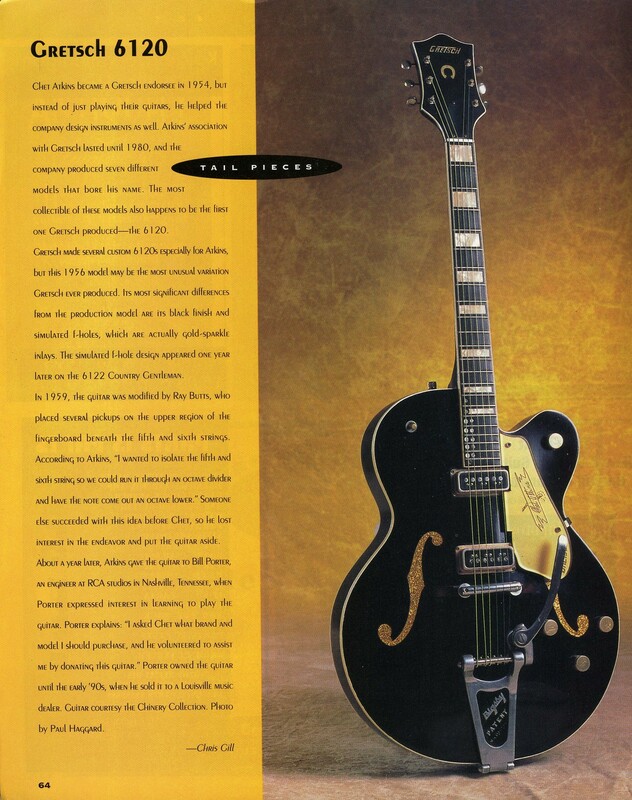 Guitar Player Magazine called this amazing guitar “One of the Most Important Electric Guitars of All Time! 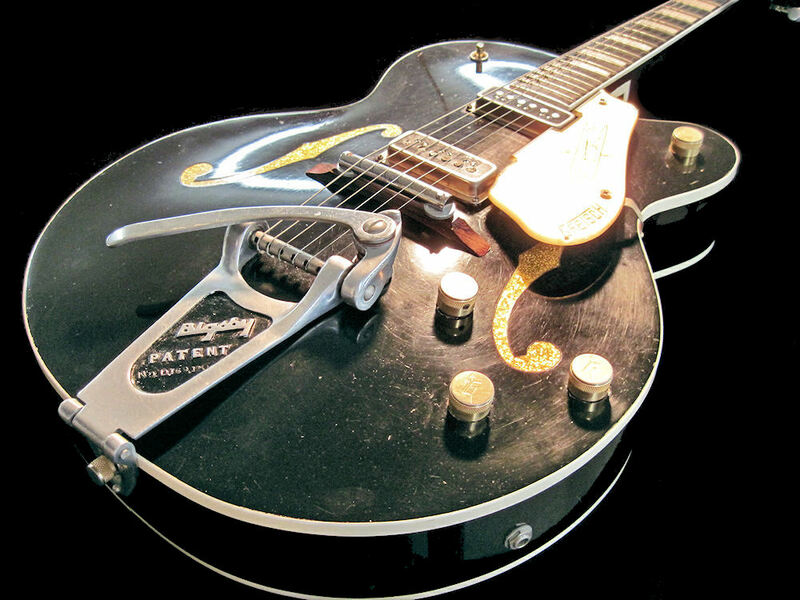 This is The Early 6120 Black Sealed Top Proto that was made famous when Chet Atkins played "Dark Eyes", the famous Russian Folk Song on it so many years ago. 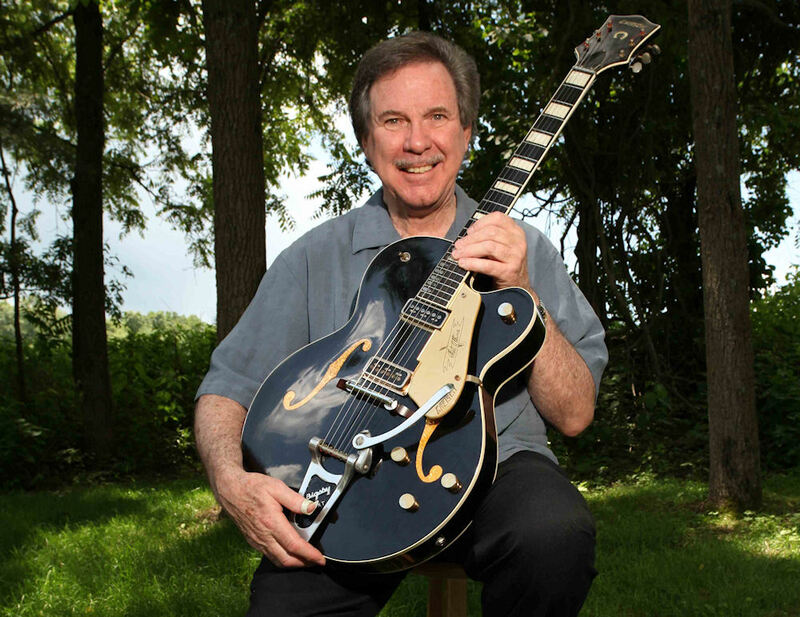 This guitar was the precursor for all things to come in the future with the relationship of Chet Atkins and Gretsch. 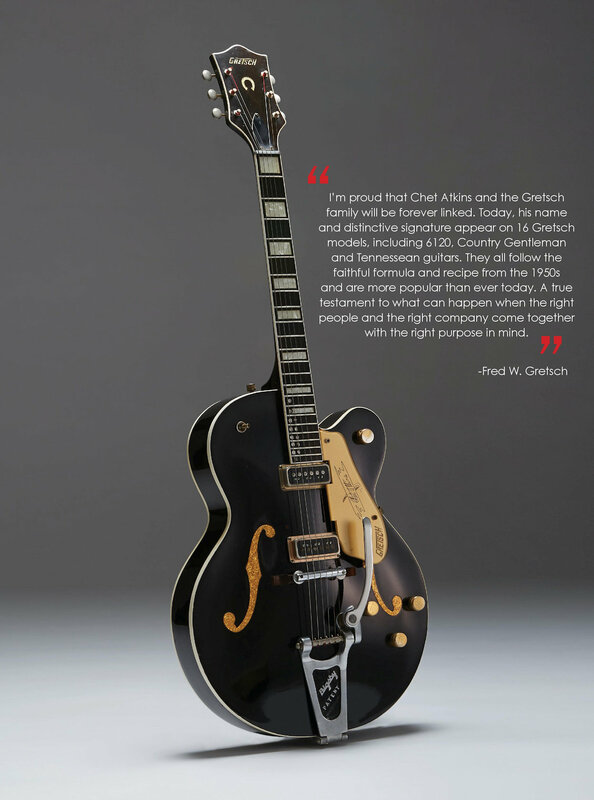 One of the guitars that started it all when it comes to all things Gretsch and Chet Atkins! 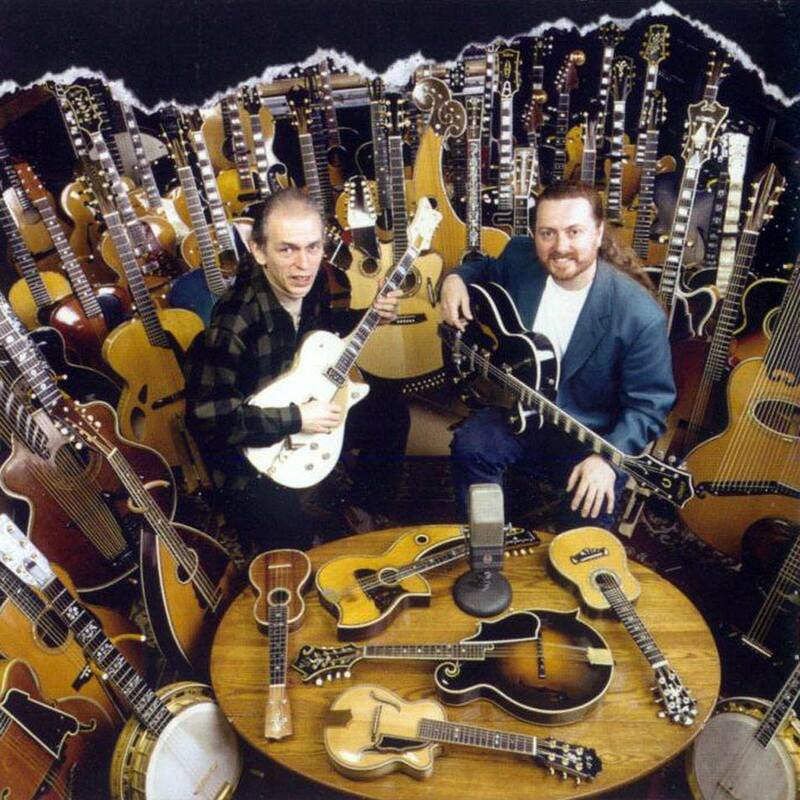 This amazing and very historical piece was of course created especially for, and owned and used by Chet Atkins early in his career, and worked on/experimented by and with the genius - Ray Butts. 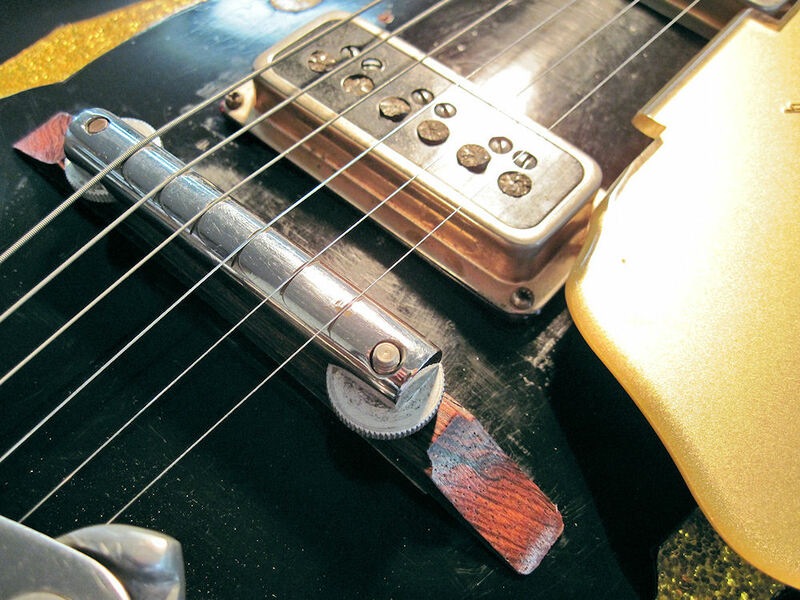 Chet and Ray experimented with pickups, sound control, separating bass (phantom bass) notes off to a separate amplifier channel… notice the pole pieces embedded into the fret board of the guitar… and so much more. 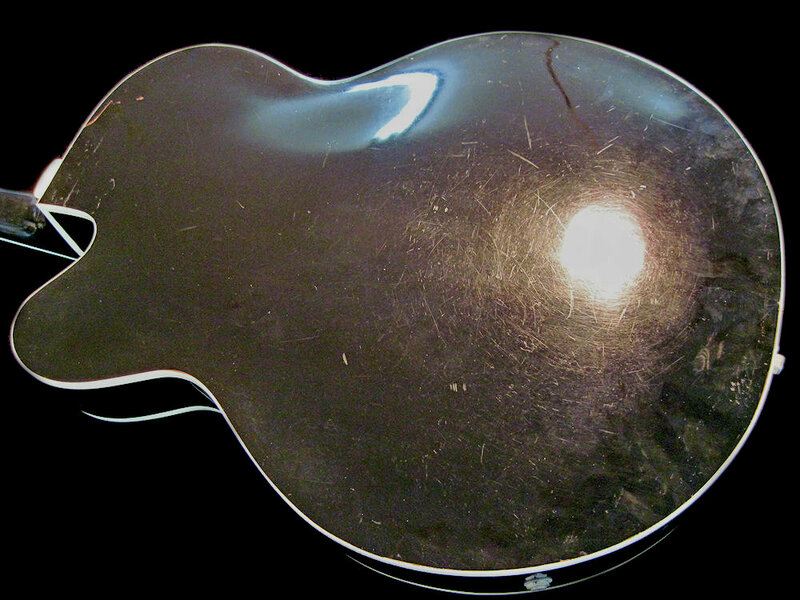 Later in Chet’s career, this guitar was given as a gift to famous sound engineer Bill Porter - who helped shape the Nashville sound and recorded such stars as Chet Atkins, Louis Armstrong, the Everly Brothers, Elvis Presley, Barbara Streisand, Diana Ross, Ike & Tina Turner, Sammy Davis Jr., and Roy Orbison and so many more. 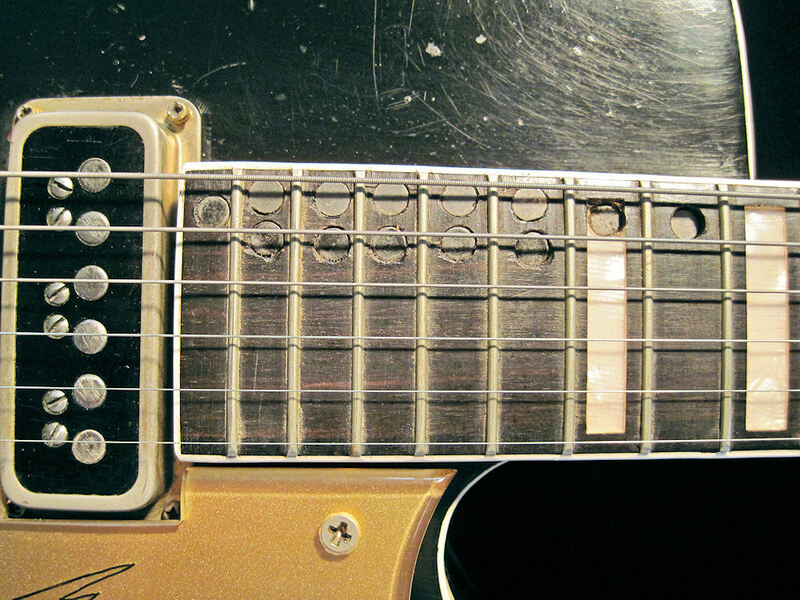 Some years later this guitar became part of the legendary Scott "Chinery Collection" and was featured in his book. A little later it was displayed for quite some time at the Smithsonian Institute Museum. Les Paul's personal luthier, guitar tech, soundman and close friend Tom Doyle, has owned this guitar for going on 18+ years now. 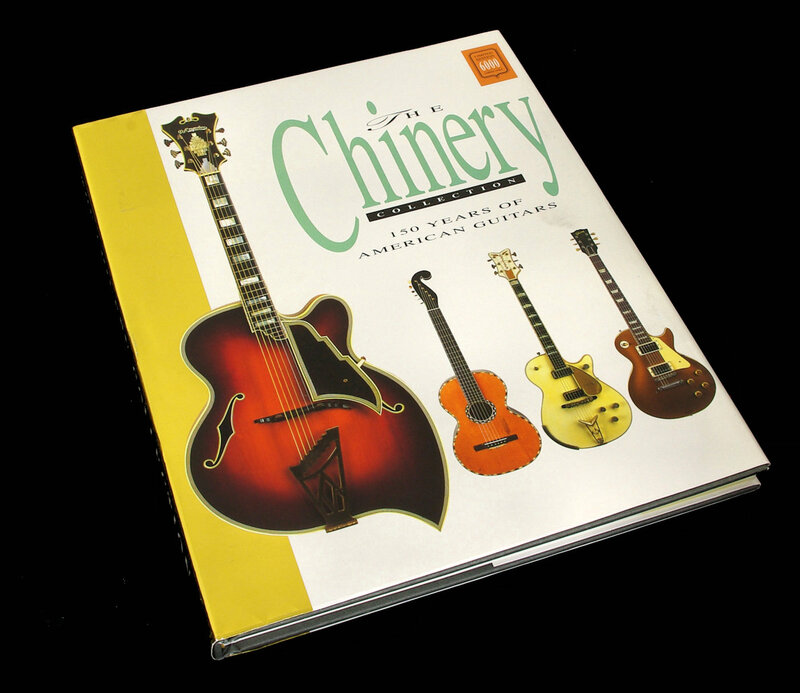 Tom was the special luthier and curator of Scott Chinery Collection. 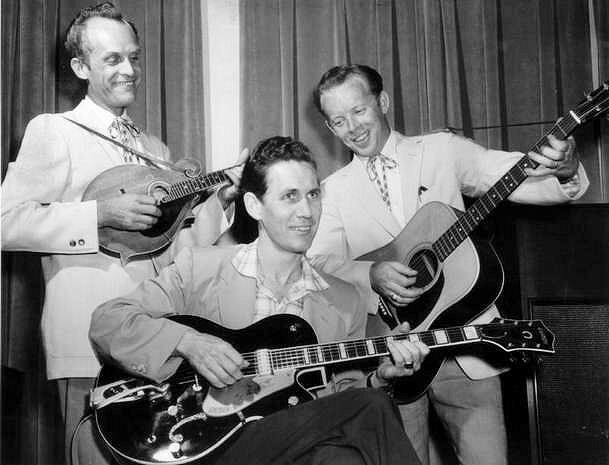 Scott knew that Tom had always revered the instrument and he also knew that Tom had worked with Chet and was such an admirer of Chet’s talents. 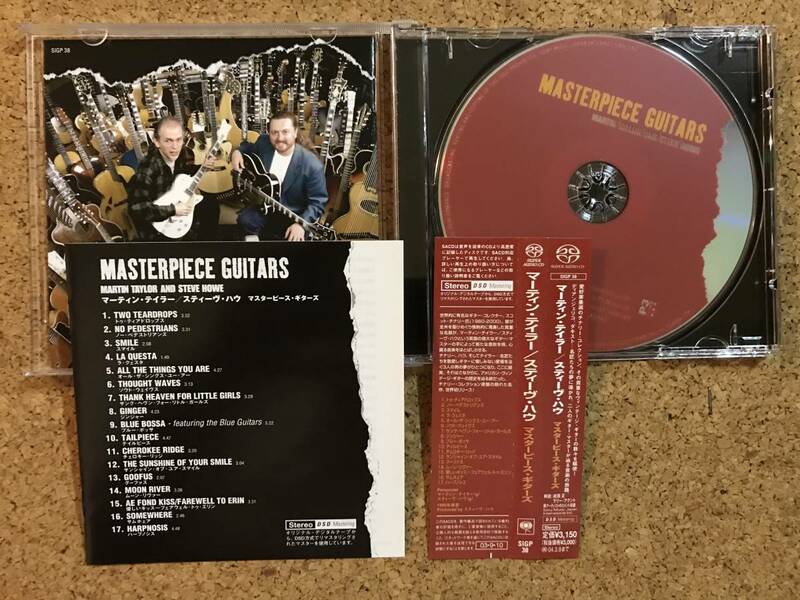 So one day, in a grand gesture of his appreciation, Scott generously bestowed this essential guitar to Tom as a gift for all of his hard work and dedication, knowing it would be taken care of. In an ironic twist of fate Scott Chinery passed away, all too early about a week later. 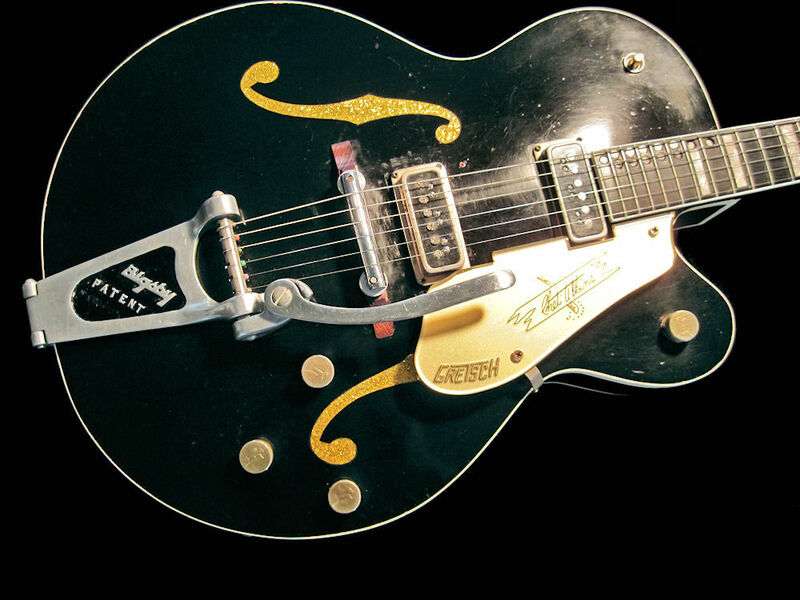 This splendid piece is the seminal instrument of all things to come as far as Chet Atkins and Gretsch... and is the very essence of so many models to come. Without this guitar, there would be no 6120, there would be no Country Gentleman, no George Harrison Model, no Brian Setzer, etc, etc. 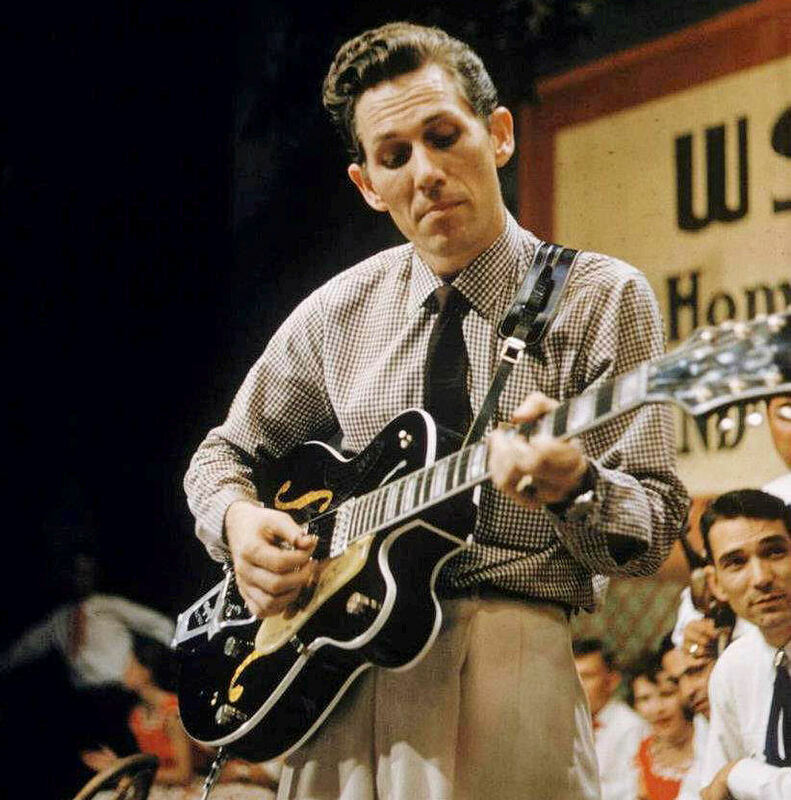 Gibson had their Mr. Les Paul, and Gretsch had Chet Atkins - This guitar was the beginning of it all for Gretsch and Chet Atkins. So you can see that this is way more than just a guitar... it’s a piece of American Musical History! 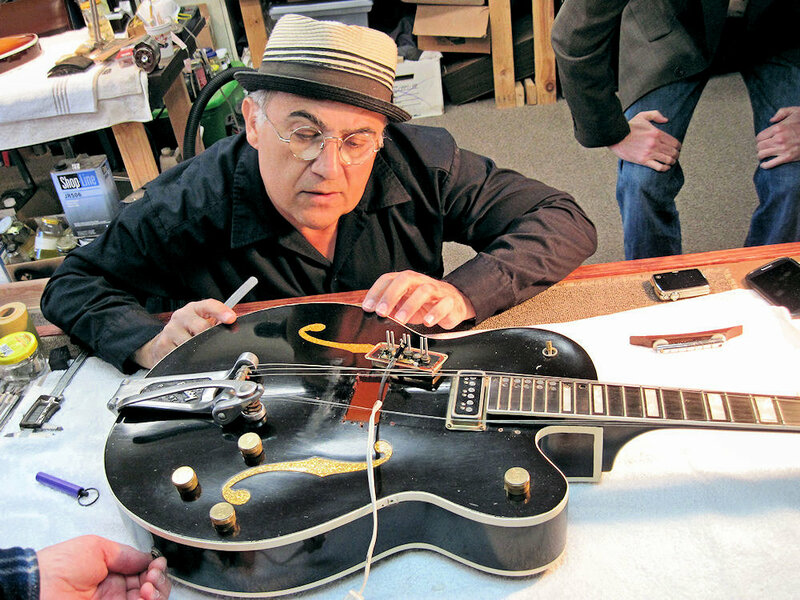 Joe Carducci, Gretsch Guitar's Senior Product Manager came to inspect and evaluate The Original Chet Atkins 6120 Prototype Black Sealed Top with Gold F Holes at Tom Doyle's Custom Guitar Shop back in 2013. 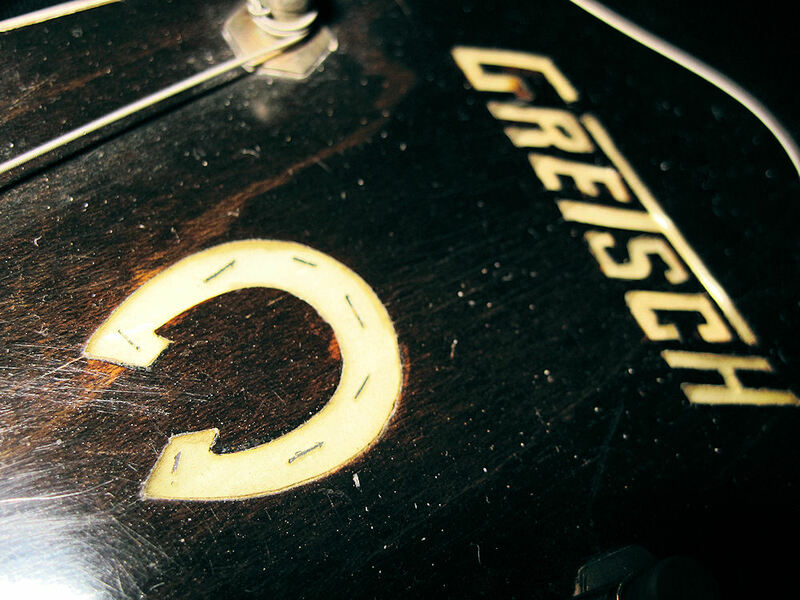 He called it "The Holy Grail" as far as all things Gretsch guitars are concerned. Search “Joe Carducci Dark Eyes” on YouTube for the whole interview. 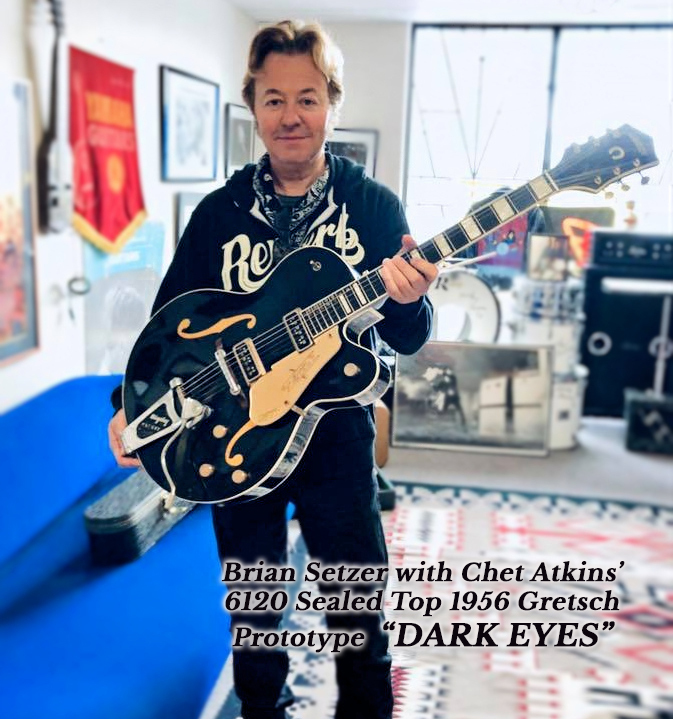 This guitar has been featured in several guitar magazines and other publications for over 30 years, and in November of 2013 Guitar Aficionado Magazine did a wonderful spread on the guitar and called the article “Black Gold: The Story of a Truly One-of-a-Kind 6120 that Gretsch Built for Chet Atkins in 1956”. 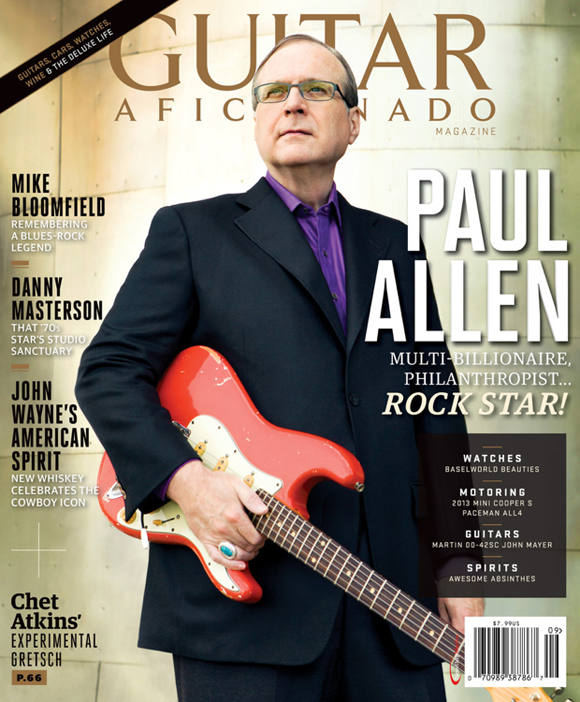 Guitar Player Magazine called this amazing guitar “One of the Most Important Electric Guitars of All Time! There are several YouTube videos of Tommy Emmanuel talking about and playing this guitar. 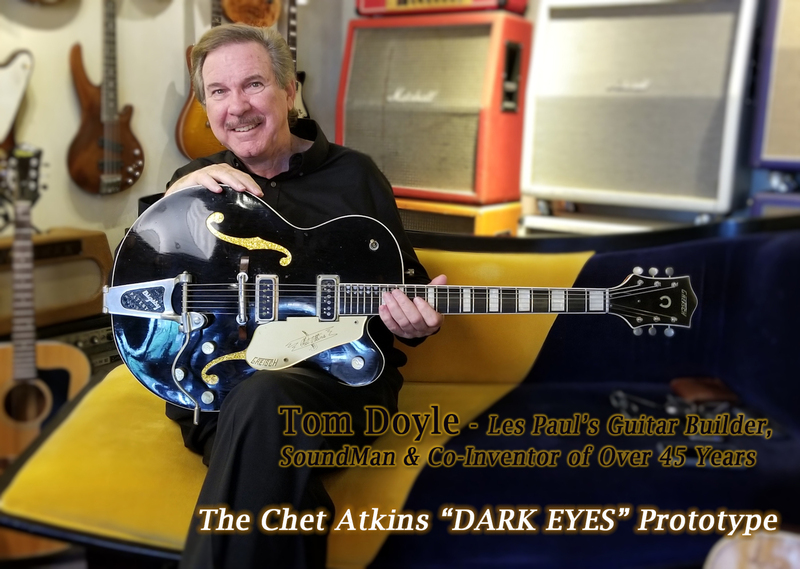 Tom Doyle does in hand interview on "Dark Eyes"
In the summer of 2016, Tom Doyle and his good friend Tommy Emmanuel brought the instrument back home to Nashville as an homage to Chet, The Gretsch Guitar Company, and to Country Music Community as a whole. 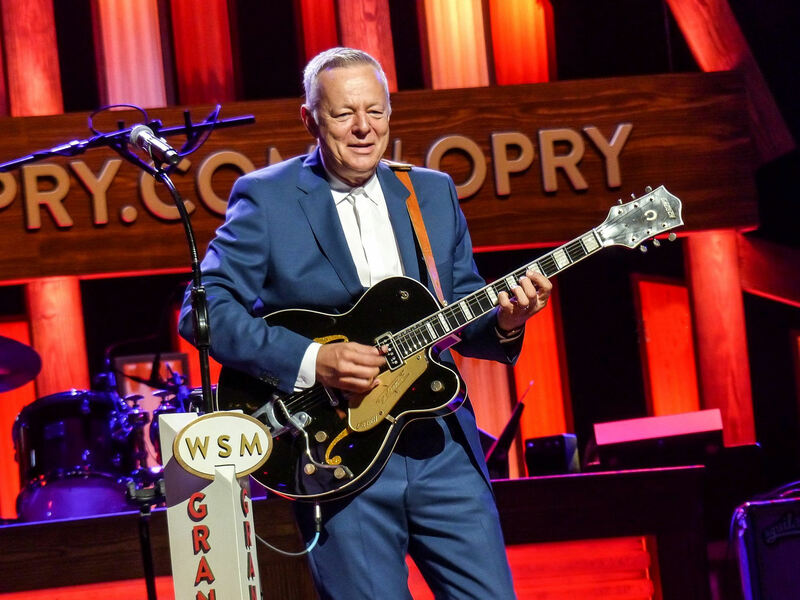 Tommy played this guitar at The Grand Ole Opry and then again at the Country Music Hall Of Fame Special Gretsch Event a few days later… The YouTube Video “Tommy Emmanuel Plays Chet Atkins' Dark Eyes" is fast approaching one million views! We highly recommend watching this… it’s very beautiful and very moving. 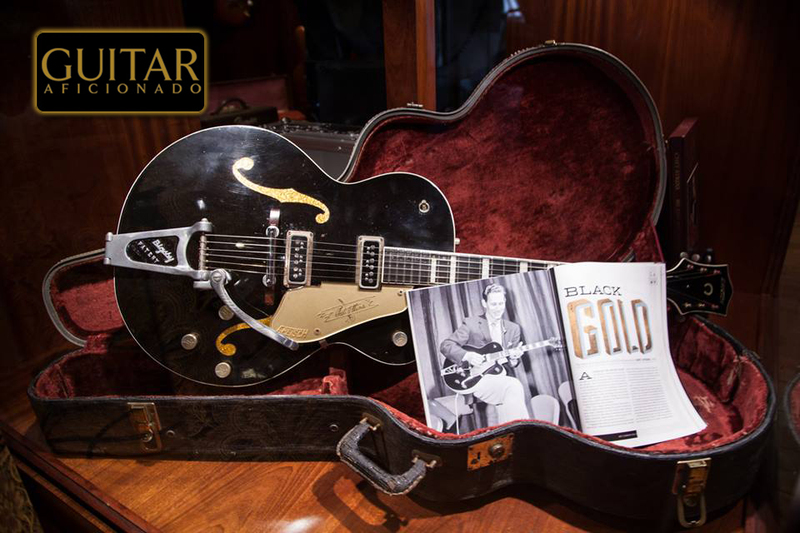 The guitar on display with Guitar Aficionado Magazine's Article entitled - "BLACK GOLD"
Tommy Emmanuel Holds Two of the Most Important Electric Guitars of All Time! 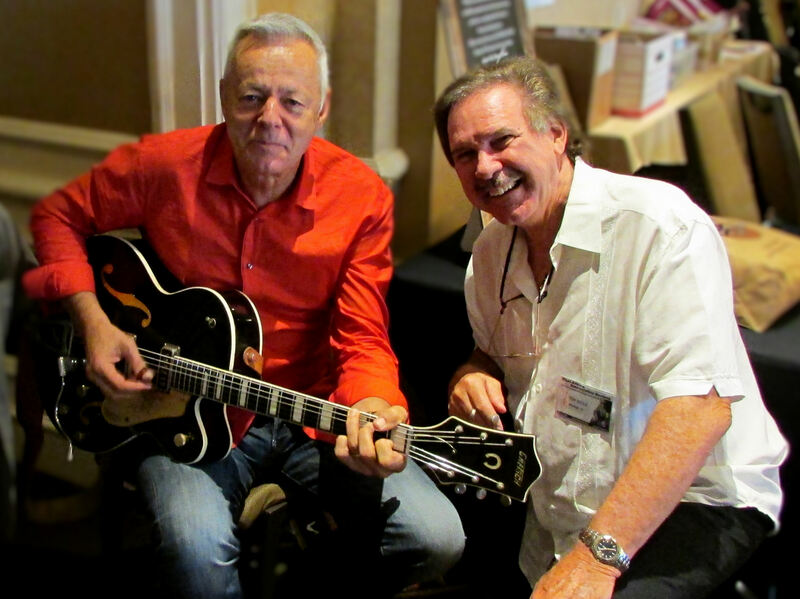 Here's a fun video of Tommy Emmanuel playing "Dark Eyes" in New York City... a little sing along and some joking around. 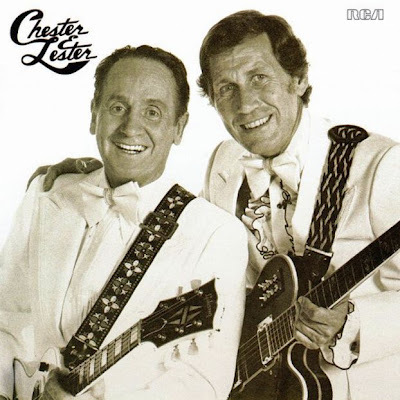 Here's Chet playing Alabama Jubilee on this guitar... On the Purina Grand Ole Opry Show. 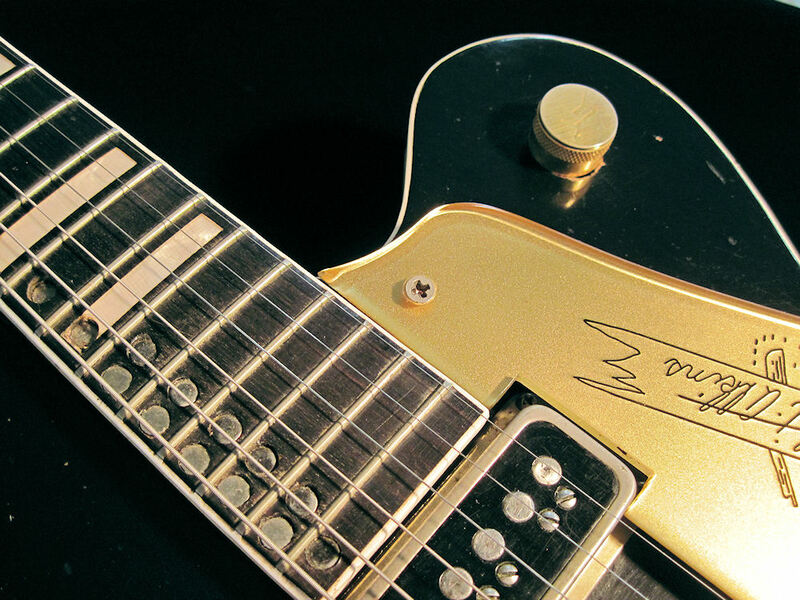 To say that this guitar is famous... well that's a bit of an understatement. This piece has been featured in many Magazines. 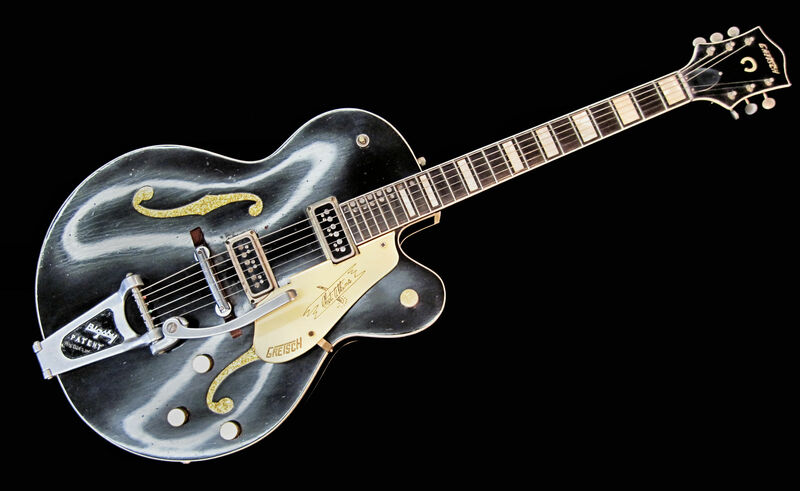 This very special, rare, and valuable piece of Americana is now being offered for sale… and it is our fondest wish that this special piece of Chet Atkins’ legacy finally come to rest on display into perpetuity at the Chet Atkins Exhibit at the Country Music Hall Of Fame for all to appreciate and marvel. Alas, that is not for us to decide… but maybe the buyer would consider that as an option down the road. 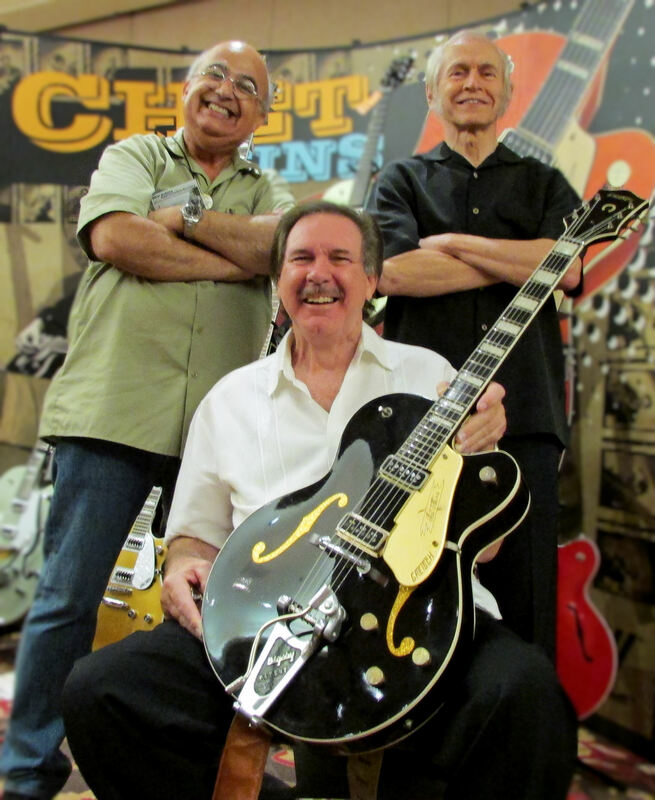 Lastly, we would like to thank Tommy Emmanuel, Joe Carducci, Fred Gretsch, John Knowles, Chris Gill, Mike Molenda, Rudy Pensa, Thom Bresh, Craig Shelburne, and many others… and of course our friend and hero, Mr. Chet Atkins! 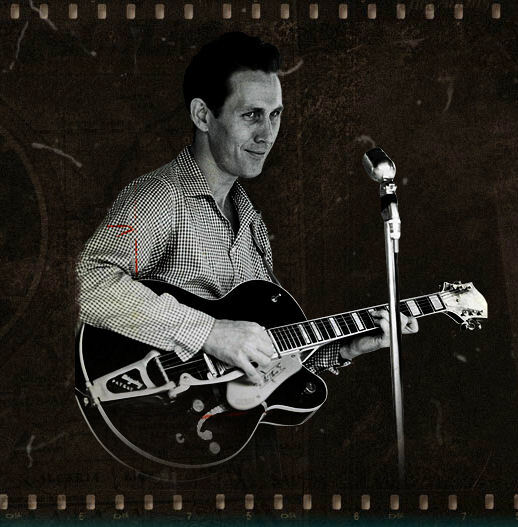 While Les Paul was certainly more than a genius in his quest for his ultimate sound, tone, and understanding of music and the instruments that it took to get there, for over four decades he relied constantly on Tom Doyle to make his guitars whole again after he chopped them to pieces in has mad pursuit of that sound in his head. 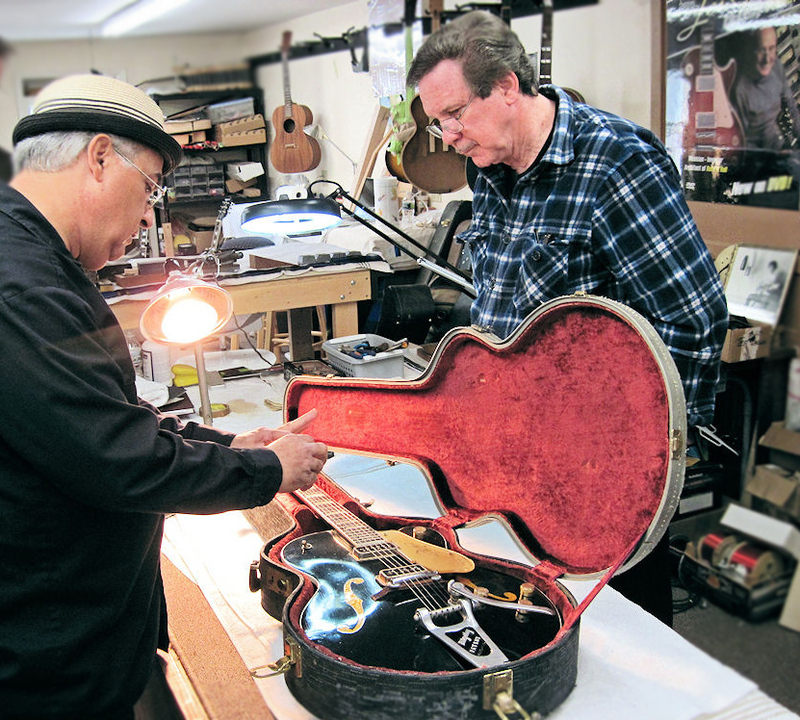 Most people automatically assume that because there is a famous guitar with his name on it, that Les was a guitar builder, tech, bench man, etc., and knew how to build, repair and refurbish guitars. That just simply was not the case... he relied on Tom for that. 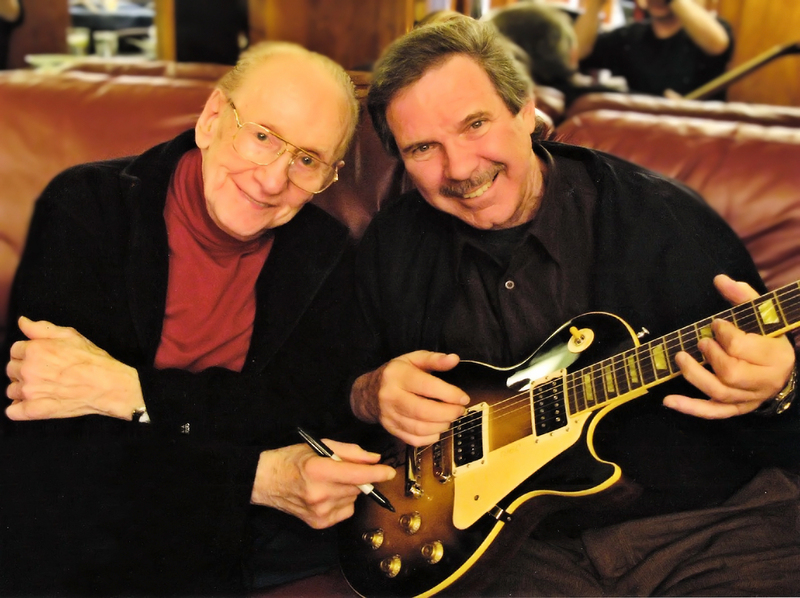 Tom and Les worked on countless projects over the 40+ years together and Tom is nothing less than a walking/talking encyclopedia about all things Les Paul, Gibson, build specs, musical history, and knows more about guitars of all kinds than anyone you will ever encounter alive today. History is funny sometimes... Often there's more legend, lore, hearsay, fiction, and spin than actual truth to certain stories as they get passed around over time. 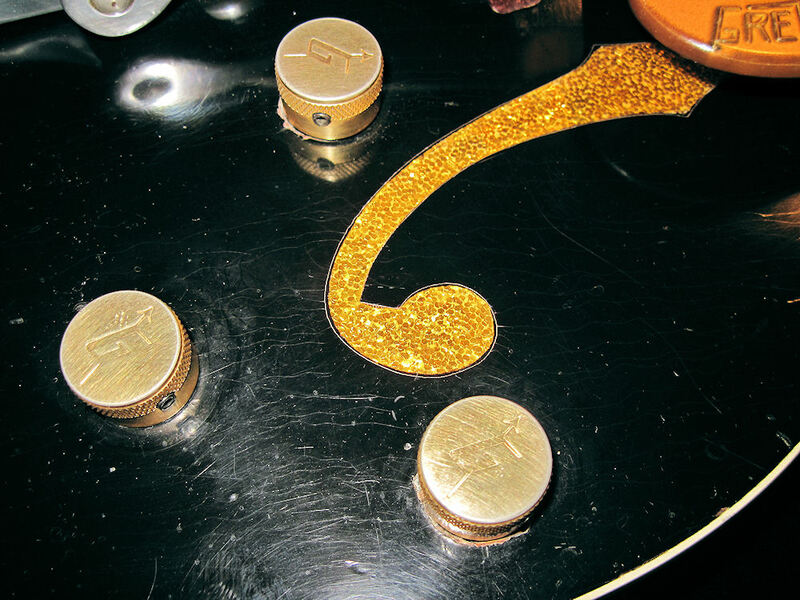 That's certainly the case with regard to the legacy of Mr. Les Paul - one of the most creative, ingenious, and important musicians and inventors of this or any other time. Even though Les is/was a recent figure in music history over the last millennium... the man, his guitars, his contribution to music, and his influence are covered in myth... mired in misinformation and laden with erroneous fable. One man was there, through it all... the ups and the downs, the good times and the bad, the major discoveries and the foibles - and that was Tom Doyle. Tom was Les' close friend, confidant, co-inventor, ear, sounding board, and fixer for all those decades. Its been said before, but never was it so true - Tom Doyle was "The man behind the man". 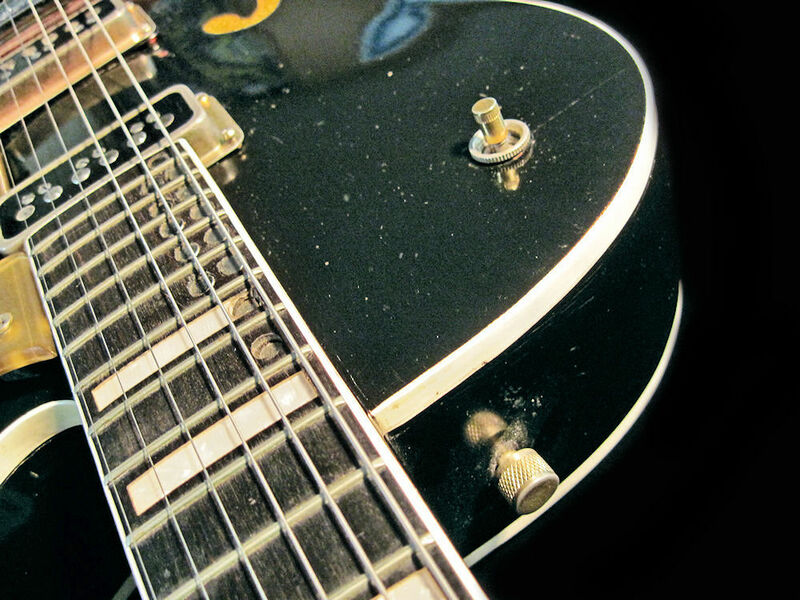 This guitar was even featured in the Smithsonian National Museum Of American History! This info just barely scratches the surface... if you are a bona fide actual buyer and want to know more, there's lots more info, photos, provenance info, etc. If you would like to know more, or need more information... simply contact us.